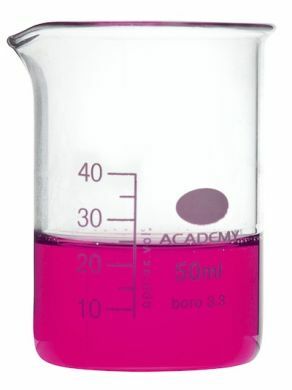 Academy brand 50ml low form beaker made from boroscilicate glass, graduated with pouring spout. Check the image to confirm that you are happy with the graduations on the side of the beaker. Please note the measurements on the side of the beaker stop at 40ml. 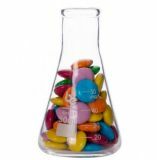 The 50ml refers to the maximum liquid capacity of the beaker - 40ml is the maximum safe fill level for laboratory use.